So, you’ve decided to give the watch-obsessed person in your life a new timepiece. Great choice! But it doesn’t have to be new – it just needs to be new to them. Certified pre-owned has become the go-to method of securing some of the world’s most desirable luxury timepieces, so before you walk into a shopfront or toss a retail-priced watch in your shopping cart, you should seriously consider buying a pre-owned luxury watch instead. A used watch is actually one of the best investments you can make for both yourself and the person that you’re gifting it to. Don’t believe us? Read on. A certified pre-owned Rolex is one of the best possible watches to give as a gift. 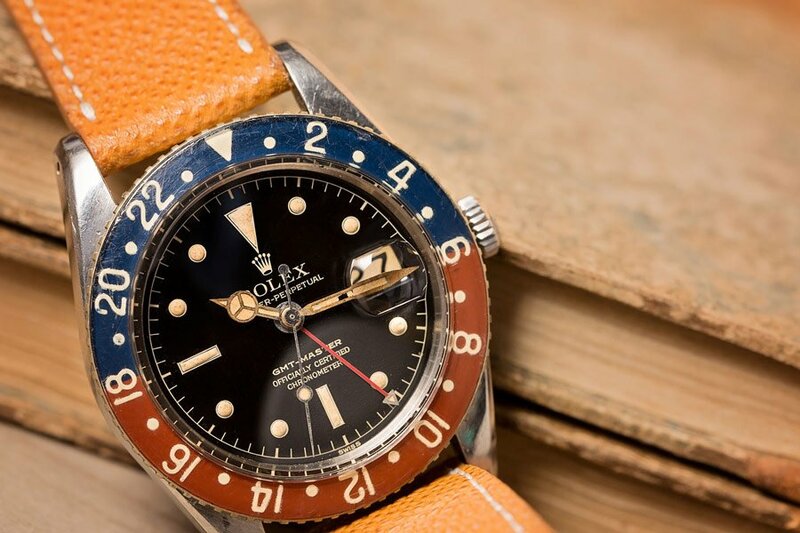 Unless you’re shopping for a vintage timepiece with a value that has has skyrocketed, when you shop for a pre-owned luxury watch, you’re going to get a much better price than retail. Within the luxury watch industry, pre-owned pieces are in no way considered “lesser” to brand-new ones, and may collectors exclusively purchase used watches due to the significant savings they offer. 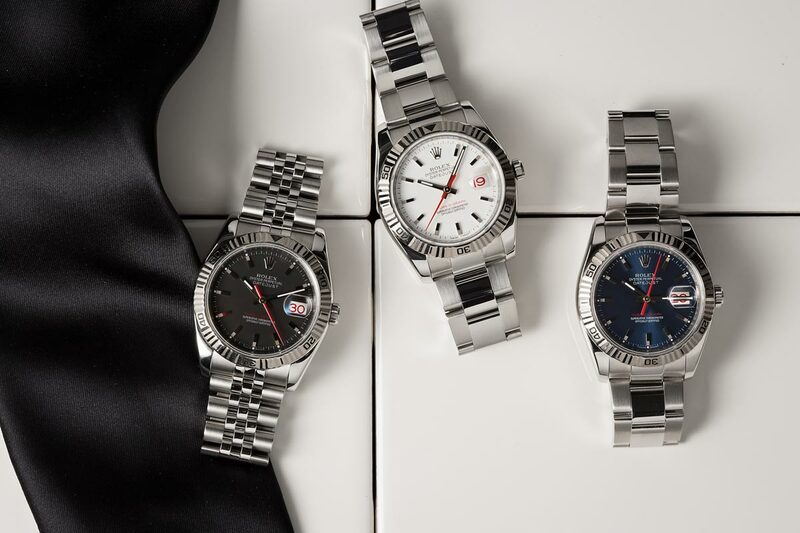 Purchasing pre-owned is a great opportunity to give the watch-lover in your life a staple piece like a practically-new Rolex Datejust or classic Omega Speedmaster for an awesome price. They’re going to receive a watch that normally costs a fortune, while you can walk away knowing that you paid a fair price for an exceptional luxury timepiece. Buying pre-owned is the only way to obtain desirable vintage references that are no longer in production. When buying a new timepiece, you’re limited to the models that are currently in production right now. Purchasing pre-owned is literally the only way to get your hands on some of the most desirable vintage models that are no longer available through retail dealers. You’re also limited to what’s available in your area, as many luxury watch retailers exclusively sell through brick and mortar dealers rather than online. Additionally, waitlists for certain highly-desirable models can frequently reach several years in length, and the hunt for certain watches can lead to a lot of headaches. On the other hand, shopping for a pre-owned luxury watch has tons of options – sometimes too many great options. When working with reputable pre-owned dealers, you also have the convenience of shopping online with helpful sales representatives, no-questions-asked return policies, and the guarantee that your watch is 100% authentic. 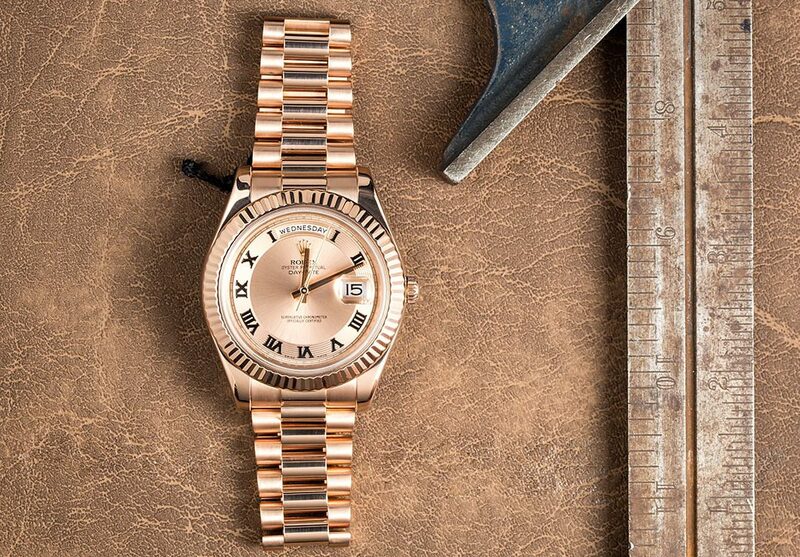 For watches made from precious metals (like this rose gold Rolex President), buying pre-owned can offer savings of thousands of dollars below retail prices. Better prices go hand-in-hand with better value. That’s because many watches are a lot like brand new cars – the minute you take them off the lot, they loses a significant portion of their value. So when you purchase a pre-owned luxury timepiece, you’re actually buying it at fair market value and with the guarantee that the price is going to fall very little, if at all. In fact, if you’re lucky, the watch will increase in value as it is discontinued or new models arise. So when you gift someone a pre-owned watch it’s not just a timepiece, it’s an investment piece that you’re getting at the right price – and is there really a better gift than that? Shop our Valentine’s Day collection now to find the perfect timepiece at the best price!